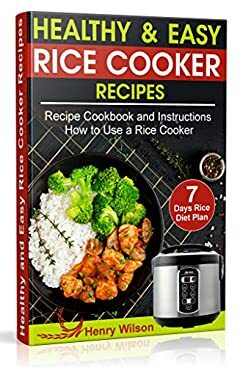 MASTER YOUR RICE COOKER WITH 170+ BEST RICE RECIPES! Thanks to such a great invention as a rice cooker, the process of cooking rice has become simple. Many rice cookers have a heating function, so the rice stays warm as long as you need. The rice cooker does not need to be monitored, because it has a built-in timer that automatically turns off the rice cooker when the rice is ready. recipes for breakfast, lunch and dinner meals using a rice cooker, as well as soups, side dishes and child friendly dishes for all tastes. Plus many more recipes for a rice cooker. There are 170+ rice cooker recipes and 7 days of a rice weight loss diet plan! There is no any need to search for something else. One-click and the best Rice Cooker Recipe Book will be yours! *You can also buy a full-color or black and white paper version of this book. Just click "See all formats" section to choose your version.